Russell Howard is the comedian we all know and love. Next year sees him head out to tour extensively. With the excitement building, everyone will be looking to make their booking so make sure you grab Russell Howard tickets early or you may miss out. Fortunately, Gigantic makes the booking process easy as you can make your selection from our huge range 24/7 using your tablet, smartphone and of course computer. After the global success of Netflix special Recalibrate, Sky One’s hit The Russell Howard Hour which spawned over 109 million views worldwide on social media and 2017 international record-breaking sell-out tour Round The World, Russell Howard returns to the live stage with his third and largest world tour to date, Respite. 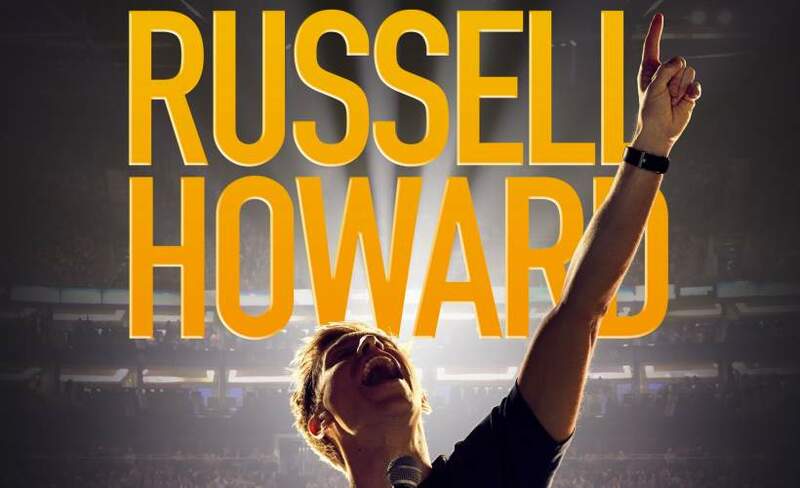 Russell begins the trip with a nationwide arena tour including two shows at The SSE Arena, Wembley in autumn 2019, during which he will perform ‘in the round’ wherever possible. Breaking the record for the biggest ever stand-up show in China on his last tour, he returns to play Shanghai and Beijing in 2020. Outside of Asia, Russell will perform in Africa, North America, Europe and Australasia, visiting over 24 countries and 51 cities including: Mumbai, Dehli, Cape Town, Hong Kong, Bangkok, Kuala Lumpa, Singapore, Copenhagen, Berlin, Helsinki, Amsterdam, New York, San Francisco, Portland, Los Angeles, Montreal, Toronto, Melbourne, Sydney and Auckland. In addition to Russell breaking a record in China on his 2017 sell-out international tour, Round the World, he played 10 consecutive sold out nights at London’s Royal Albert Hall, breaking the venue’s record previously held by Frank Sinatra and Barry Manilow for 8 shows in a row. The tour led to a global release of Netflix Special entitled Recalibrate. Russell returns to our screens to offer his unique and acclaimed perspective on international news and current affairs with the second series of The Russell Howard Hour on Thursday 8th November at 10pm on Sky One. Every episode is available to watch worldwide on Russell’s YouTube channel which has over 645,000 subscribers. The show is also broadcast simultaneously in Australia and New Zealand. Series one was the most successful new entertainment series to launch on the channel since 2010 and had over 109 million global views across social media. With only limited supplies of Russell Howard concert tickets being made available by the promoters, you will have to book early before they all go. With a massive selection of the very best gig tickets which only gets larger everyday plus an award-winning customer services team on hand to help with your selection, Gigantic is always the best place to come whenever you are booking for your big night out. Russell Howard tickets are the perfect pick for Christmas! Russell Howard announces a major comedy tour!